When I first started pole-ing, everything seemed impossible. There were women in my basic pole class that were climbing to the top of the pole and hanging upside down from one leg… before the warm-up started. I was struggling with a simple fireman spin. But, a little more than a year later, I can now do all the basic spins and many intermediate spins. I can hold myself up on the spinny pole, whereas I couldn’t even attempt it before. I can climb to the top of the pole with confidence and do a plank layback. I can dismount the pole and land with confidence every time in 7″ platform heels. I have to look back and reflect on how far I have come when I’m feeling frustrated with a new move. Right now that move is the basic invert. I can tuck my legs up and do pole crunches. I can do all the invert prep exercises. I can invert with a spotter. My instructors tell me I am so_close to inverting on my own. Yet… I can’t quite get my head back behind me and my hips up and to the pole. I know some of it is mental. I have always had a fear of being upside down or falling on my head. I think it is a natural fear, but then there are seemingly many people who don’t have this fear. I have even visited a hypnotist to address this obstacle; he said I might have fallen as a child and either frightened myself or a caretaker, and I don’t remember it. By the way, hypnosis didn’t help me with this particular challenge. I have gained so much strength and confidence from doing pole. One difference really strikes me — now I can see a way forward, or a progression, even into the hardest moves. Tricks that seemed impossible before, I now see broken down into a series of steps, each building on the last. My view of not just pole, but everything, is more positive. I know that that one day my first unassisted invert just going to happen. This was how climbing went. For what seemed like the longest time, I could only climb once. Then one evening, totally unexpected, I climbed to the top of the pole. I am currently working on a blog post about my April trip to Europe. I have so many pictures and interesting things to share that it’s taking me awhile to narrow it down to the highlights. 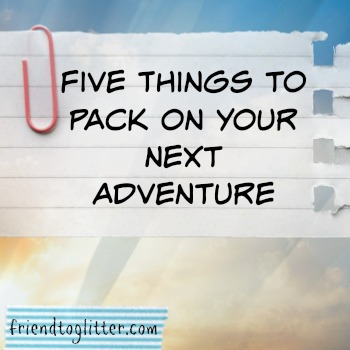 In the meantime, here is a short post on five things that I will absolutely be taking with me on my next trip. 1. Personal Fan – I always come prepared for a long flight with a blanket and neck pillow, but our flight to London was hot and stuffy. The overhead vents were not functioning, and some of my neighbors were well, less than fresh smelling. I wish had worn shorts on that flight. I also wished I’d had a personal fan. 2. External Power Source – This comes in handy for charging personal smart devices when touring around for the day. We left our hotel room in the morning and often didn’t return until late evening. I took all of my photos with my iPhone as well as used it to navigate, so a backup battery was a must. It’s also handy for long plane rides where there isn’t a USB port in each seat. 3. Universal Power Converter – Again, who can live without their smart devices in this day and age? Not me. We had success using our Samsonite power converters in England, France, Netherlands, Germany and Romania. The Marriotts we stayed in had one American style plug per room, but most hotels do not. A side note: do not try using an American hair dryer in a foreign country, not even with a converter. I have blown up a perfectly good hair dryer attempting this because the wattage was way too high for the plug. 4. Activated Charcoal – This one might sound odd, but bear with me. Activated charcoal is an excellent supplement to take if you suspect you might have food poisoning, something you ate didn’t agree with you, or you just drank too much alcohol. I don’t know how it works exactly except that it will bind to and absorb toxins. It’s cheap, you can find it at any drugstore, and it always works for me. 5. Space Bags – Aside from saving you space in your suitcase and helping keep things organized, space bags are great for storing dirty clothes. Over two weeks of traveling, I gradually moved my dirty clothes into their own designated bags. The bags seal and become airtight, keeping the stinky clothes away from clean outfits.